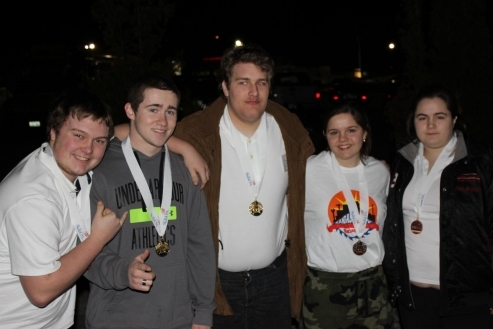 Two students from the Region Two School of Applied Technology brought home gold medals in their competitions at the SkillsUSA Maine State Conference at United Technology Center and Eastern Maine Community College in Bangor on March 6th. The Gold medal winners were: Jacob Stubbs for the Employability Knowledge Test competition, and Jacob Jones for Extemporaneous Speech. There were also three bronze medals awarded to Region Two competitors: Alex Lane for the Employability Knowledge Test, Kelly McLaughlin for Action Skills, and Hailey Morley for Auto Tool identification. Region Two, which entered eighteen contestants in the state competition, will now start a new round of fundraising to accommodate Jacob Jones and Advisor David Socoby to travel to the SkillsUSA Nation Conference in Louisville, Kentucky in late June so Jacob Jones can compete for best in the nation in his contest. Jacob Stubbs won his gold in a state-only contest.